Spring has sprung!!! I LOVE Spring. Despite the huge amount of pollen in the air my windows are open most days. I thoroughly enjoy the fresh air and the melodic sound of the birdies singing in the trees. It seems that the grass has magically turned green overnight and its time for me to start digging in the dirt again. 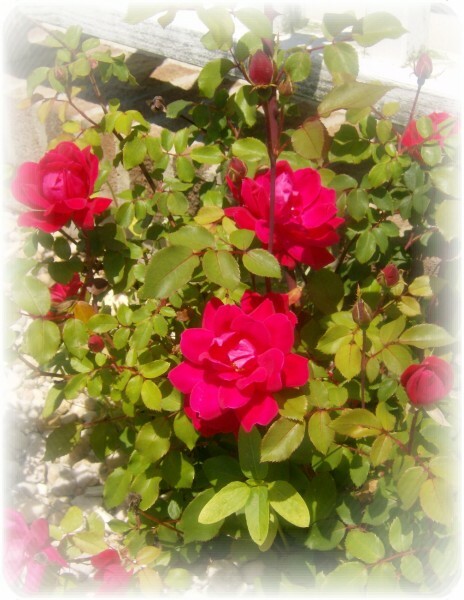 These pretty Roses blossomed last year and I am looking forward to seeing them again this Spring. Their tender green leaves have already sprouted. 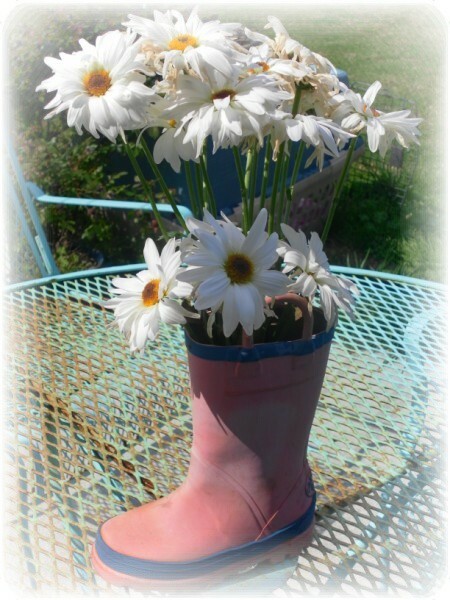 To check out some pics of last year’s garden please hop on over to last year’s post A Cottage Inspired Porch Makeover . 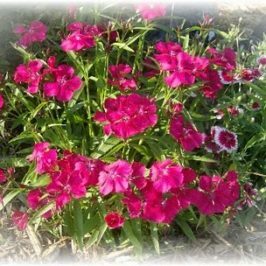 Last week I stopped at Lowe’s to cruise around the garden center and picked up quite a few specimens for this year’s garden at the clearance section. I don’t exactly have a green thumb so if I kill anything atleast I didn’t pay full price! 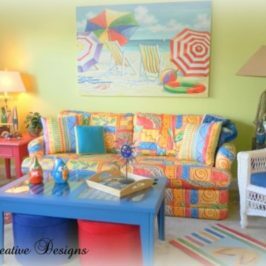 ‘Tis the time of the year to bring the outdoors in by decorating the inside of our homes for Spring as well. 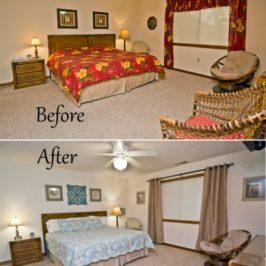 There are so many ways to make our homes feel “Springy”. Adding decorative items such as bunnies, butterflies, birds or almost anything floral can give your home a Springtime feel. Floral wreaths DEFINATELY say Spring to me. 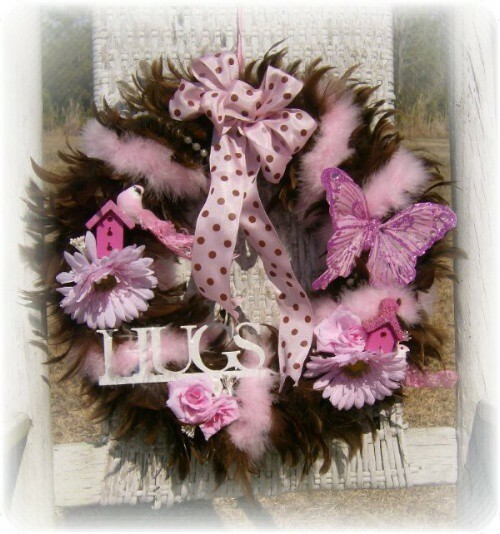 I created this Shabby Cottage Chic Pink and Brown Feather Wreath awhile ago and it just screams Springtime! I currently have it in my shop but it may just end up in my daughter’s room. It is just so Girlie don’t you think? 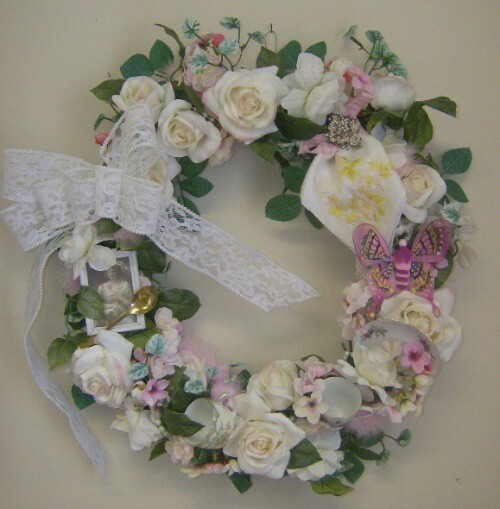 This pretty Victorian Tea Cup Wreath would also be perfect in a Spring Garden inspired room. This wreath started out as a simple grapevine wreath and was embelished with silk flowers, vintage miniature Teacups, a vintage hankie, pearls, lace and other flea market finds. Everything was secured to the grapevine wreath with either wire or hot glue. Try making your own! Want to display a bunch of fresh flowers hand picked from your garden? Try putting them in a Hand Painted Glass Flower Vase like this one! You can find a simple glass vase at almost any local discount, craft or department store. Thrift shops usually have loads of glassware that can be painted. 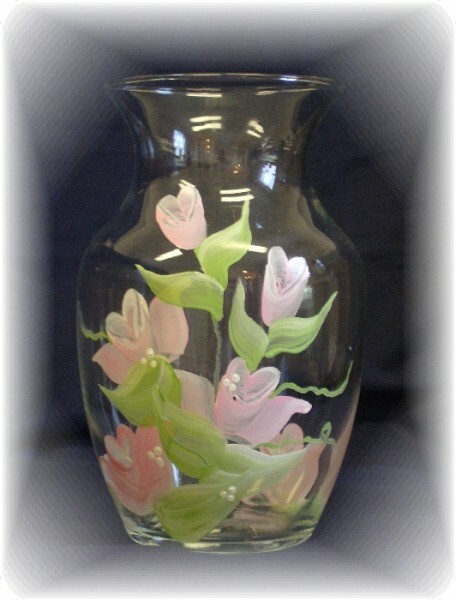 To create your own painted vase you will need to buy Glass Paint which can be found at your local craft shop. Once painted, you bake the piece in the oven to set the paint. The finished product is washable and usable! 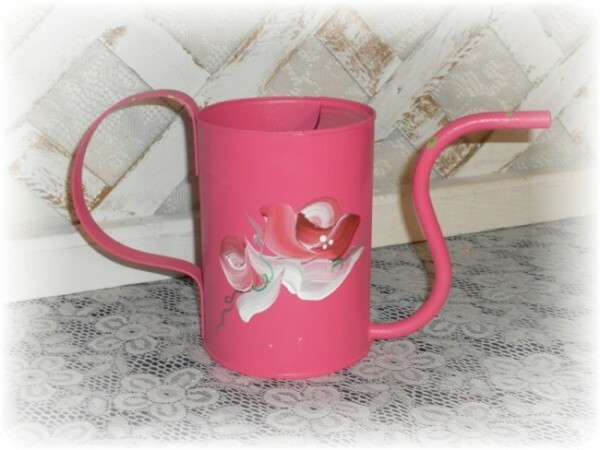 How about a Handpainted Watering Can to dress up your Spring Decor? I came across the beautiful Spring inspired room on BHG.com . I just LOVE the soft color pallette in this room. 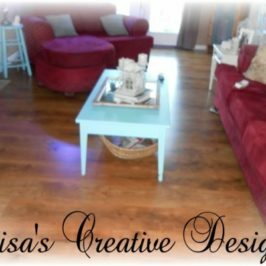 The “shabby” coffee table is great. I actually have one similar to it in my garage that I built a few years ago. Hmmm. It may just have to pop back up in my living room. I am growing tired of the one in there now. 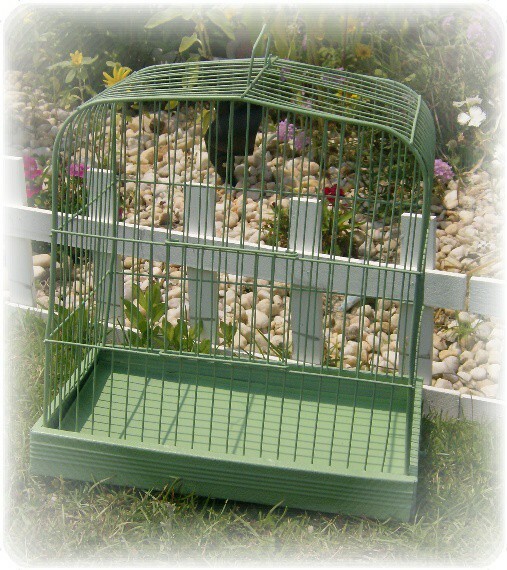 Bird houses and Bird Cages like this Vintage “Shabby” Bird Cage are great props to add to your Spring Decor. They can be used as centerpieces, “still life” or even wall art filled with decorative objects. And then of course Spring brings us Easter . 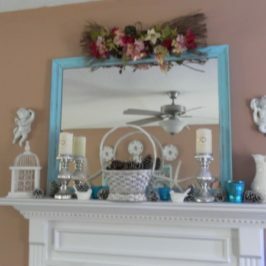 This is a shot of last year’s Easter Inspired Mantel. 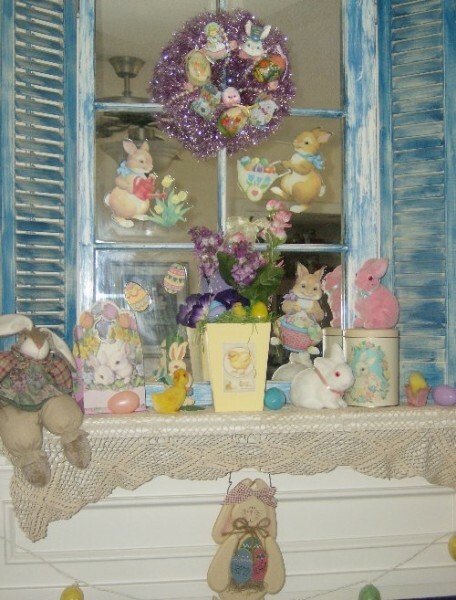 I have been so busy this year that I have not put out ONE Easter decoration yet! I am hoping to do that over the weekend or on Monday. I will be keeping it simple this year. 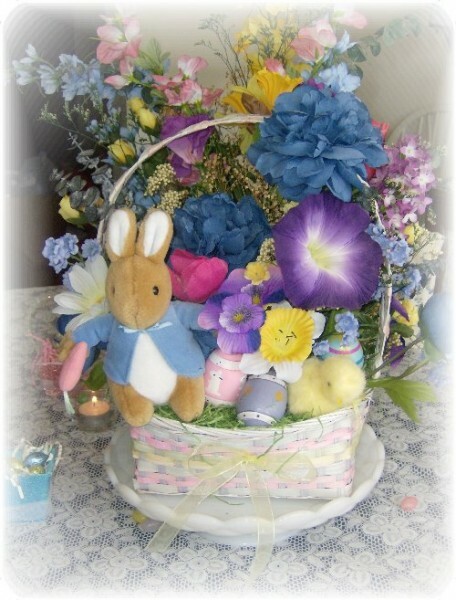 I LOVE this Easter Basket centerpiece I created a few years back. If I can only put out one decoration this year it will be this one. Well, that’s it for today folks! How do you decorate your home for Easter? Just drop me a comment, I would love to know! 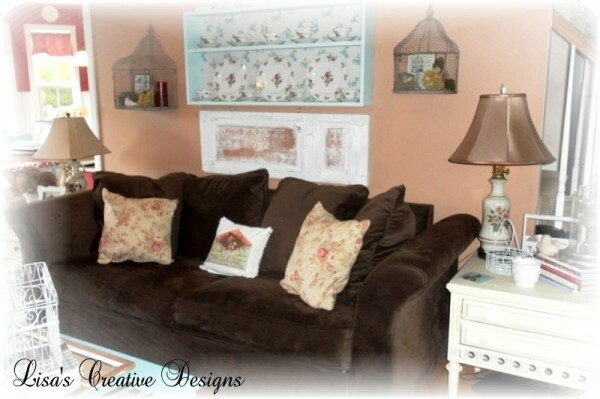 That Vintage Shabby birdcage is adorable! 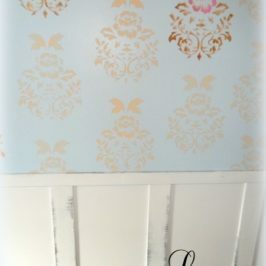 My daughter is a huge collector of Vintage Shabby’s although I had never thought of using one to decorate for the spring. Thanks for the cute idea!